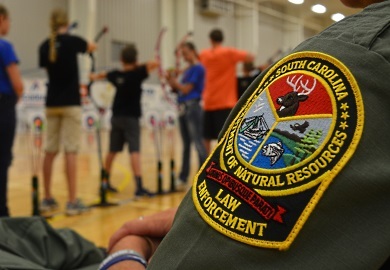 The S.C. Department of Natural Resources and the city of Myrtle Beach recently played host to more than 4,000 youth archers from the United States, Canada and Mongolia, along with their parents, coaches and supporters, at the National Archery in Schools Program's (NASP) 2016 World Tournament and World IBO 3-D Challenge. 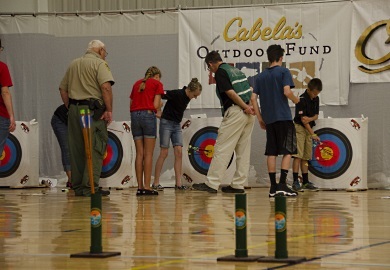 High-school, middle- and elementary school-aged student-archers competed for prizes and scholarships at the four-day event, which took place June 23-26. Putting on two large tournaments simultaneously was a challenge for organizers, but having the help and support of many dedicated coaches and volunteers involved in South Carolina's NASP program was an essential ingredient for success, according to 1st Sgt. Ryan Bass, coordinator for the DNR's youth shooting sports programs. "We have just a fantastic group of coaches, parents and volunteers," said Bass. "I can't say enough good things about all the work they have put in to make this event a success." It was the DNR's ability to leverage its program's large network of sponsors and volunteers that convinced NASP leaders to give Myrtle Beach a try for the 2016 World Tournament, and based on the event's success and the positive reaction from parents and fans, a return visit for another NASP national or world event sometime in the future is a distinct possibility. "The SCDNR has been just wonderful to work with," said NASP Vice President and General Manager Tommy Floyd. "We could not have done this tournament without the support of the agency and of the South Carolina program's volunteer network." 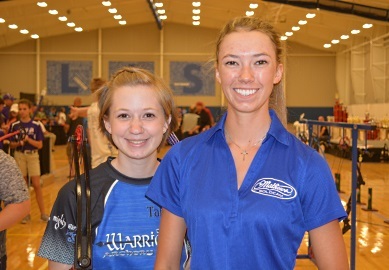 Two young women from South Carolina finished near the top of the leaderboard for individual archers, just as they did at the NASP National Tournament back in May. Riverlee Weaver of Socastee, shooting for St. James High School, and Tabitha Way of Duncan, shooting for the 2016 state champion Carolina Warriors Homeschool Archery Team from Chesnee, finished the final flight of the tournament tied for second place in the High School Girls Division, with identical scores of 294 (out of a possible 300) and 24 bullseyes apiece. A dramatic "shoot off" at the end of the tournament gave Weaver second place, with Way finishing third. Way finished first in the High School Girls Division of the IBO 3-D Challenge, where participants shoot at lifelike targets of game animals such as white-tailed deer. Savannah Philpot a fifth-grader from Kentucky shot a 295 with 25 bullseyes to take top honors among all the girls. Among the boys, top finishers included Caleb Stillians of Missouri and Dalton Talbert of Ohio, both with scores of 299 and 29 bullseyes. According to tournament organizers, the average score for all participants in the bullseye tournament was an amazing 251 points. These high scores indicate something about the level of competition at these events - and also about these student athletes - that coaches and volunteers associated with the program know quite well. These young archers are extremely dedicated to their sport, and the discipline required of it translates positively into other areas of their lives, such as academics, according to Terry Lee, Archery coach and PE teacher for Lakewood Elementary in Surfside Beach for the past seven years. The other teachers and administrators at his school support the program wholeheartedly, said Lee. "They understand that if you get a kid involved in an activity like this, then they're going to want to come and be a part of school. Another thing that we've seen is that with a lot of these kids, participating really helps build their confidence, and with that confidence comes better grades." Capt. Billy Downer, who leads the DNR's hunter education, youth shooting sports and mentoring programs, while also crediting the volunteers who work with the archery program and DNR staff with making the tournaments a success, pointed out value of having DNR officers involved as well. "I think it's a testament to our staff in the field and in the education section that they are willing to come here and work for four days nonstop to help put on a successful event for these kids," said Downer. "We have a great staff, and when people from across the country and other countries come here and see them working with these kids, that's priceless." "You'd be amazed at how many kids come up to us and say, ‘looking at you and seeing what you do, I want to do that,' " said Lt. Kim Leverich, a Myrtle Beach Native who began her DNR career as a field officer and now supervises multiple programs in the agency's Education Section. Leverich spent a great deal of time at the tournament meeting and talking with parents while selling T-shirts at the DNR's SC-NASP booth to raise funds for more state-level scholarships. Tournament winners at the state, national and world competition levels win money that can help them with college expenses. Riverlee Weaver, for instance, plans to use the $10,000 scholarship she won at the National Championship in March to attend an accredited school for professional big-game hunting guides in Colorado this fall, said her dad, Ron Weaver, who was serving as a volunteer at the tournament. But first, she'll be travelling to South Africa this summer to compete internationally as part of the NASP All Star Team. While competing in national or even international, tournaments is a regular part of life for accomplished archers like Weaver and Tabitha Way, for most of the South Carolina students at the World Tournament, their chance to experience competition at this level depended on the DNR's willingness to host the event. All NASP schools from a host state are eligible to participate in the World Tournament, regardless of their standing in state or national qualifying tournaments. "One of the greatest things about us being able to host this tournament is that it gave all the NASP participants in South Carolina an opportunity to come to a world tournament, which they might not otherwise get," said Leverich. "They have really enjoyed the beach and all the other family activities that are here for them. There's so much for them to do here in Myrtle Beach, lots of the families have told me they would really like to come back here again if they could." 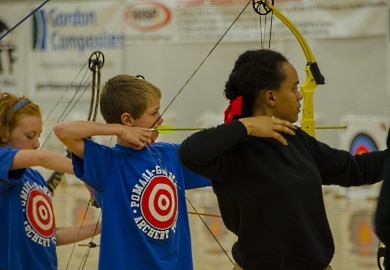 For more information about the S.C. Department of Natural Resources' NASP–affiliated youth archery program, go to http://www.dnr.sc.gov/education/archery/index.html or visit the program's Facebook page (search for: "SC Archery in the Schools Program NASP").